Who doesn’t want to save on energy bills every month? Saving on bills does not have to be a tour-de-force effort. 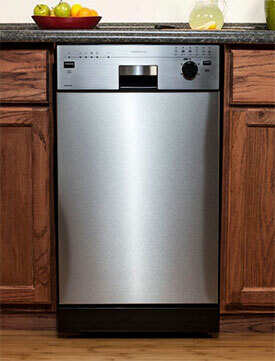 In fact, it can be as easy as using a few simple tips to make your dishwasher more efficient. 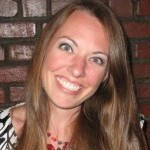 Often, people assume that saving resources has to be difficult and expensive. It might be nice to have a brand new kitchen full of energy efficient appliances, but it is not usually practical. Use what you have, and save a little extra every month. It is very common for people to waste energy while they think they are actually saving energy. 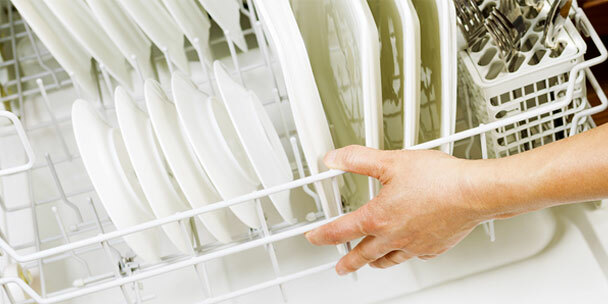 Did you know that washing dishes by hand actually uses more energy than putting a full load in the dishwasher? Also, did you know that about 60 percent of the energy used by most dishwashers is used to heat the water? Below, you will find a list of eight must-know tips designed to help you reduce the energy you use for your dishwasher. You can save time, money, and energy all at once. What could be better? Scrape leftover food into the trash instead of rinsing dishes in the sink. Not only can you avoid one of the most cumbersome parts of dishwashing, you can save about 55,000 gallons of water over the lifespan of your dishwasher. Saving water is important, but you also save money as you use less water in the process. Scrape all dishes thoroughly, and use a rough brush or dry sponge to get rid of pesky food particles that can clog drains. Only run a cycle when your dishwasher is at full capacity. Instead of washing only partial loads, wait until you have a full load before you start your dishwasher. Waiting for a full load gets you the most cleaning power for every dollar you spend on water and energy. Also, try using a rinse aid to help remove extra spots from your dishes. This will also make them shiny, reducing the cloudy residue often seen. It is possible to make things quick and easy without sacrificing the quality of cleaning. After all, cleaning a full load of scraped dishes twice defeats the purpose of saving energy. Of course, waiting until you have a full load doesn’t mean they have to sit around in your sink. Load your dirty dishes when you’re finished with them and this will cut down on the over all amount of clutter in your kitchen. 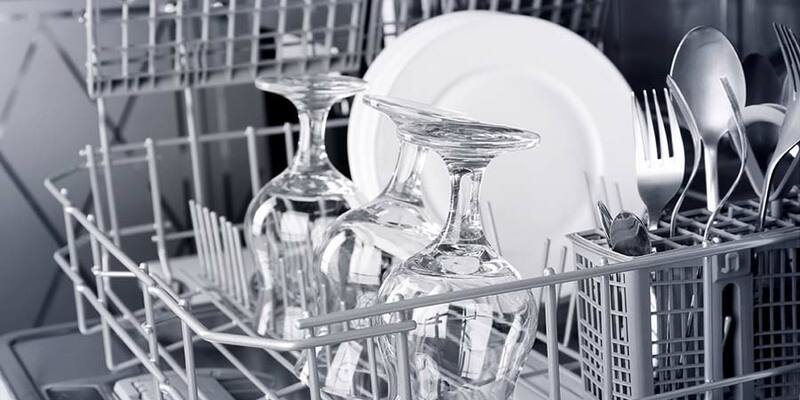 If your find the idea of letting dirty dishes sit in the dishwasher until you have a full load to be a little gross, then use the rinse and hold feature for a short time. However you go about it, try to not use the sink to rinse your dishes if possible. This is a great way to save water and energy use. Another great way to save money, is to let your dishes air dry. Not only is this easy and convenient to do, it also cuts down on the energy used to heat your dishwasher and prevents any damage from may be caused to your dishes from the excessive heat. To do this, either turn off the heat-dry setting or prop open the door after the wash cycle is over and turn the entire machine off. Howewver, the main downside of this drying method, is that it may take longer for your dishes to fully dry. Numerous energy companies charge more during peak hours, or when energy is used most often. 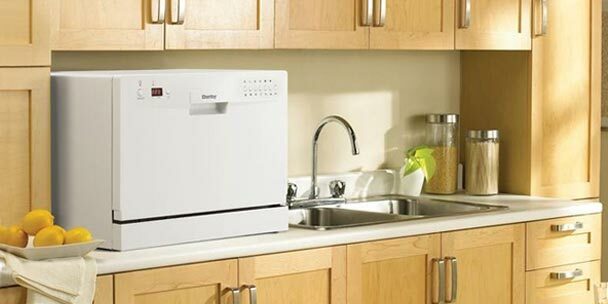 Use the delay or timing feature on your dishwasher to start a full load of dishes late at night or early in the morning. 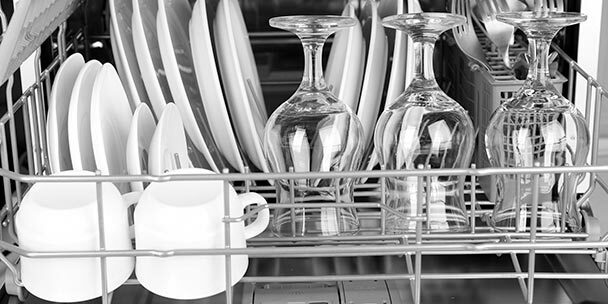 Another easy alternative is to load your dishwasher after dinner and start it when you first wake up. All you have to do is turn a knob at a different time to save on your bills. Run your dishwasher at nights in the summer to give your air conditioning unit a break. Similarly, run your dishwasher in the mornings in the winter to help your heating unit out. The ambient heat created by your dishwasher, while minimal, can still be especially noticeable in homes with low ceilings or smaller living areas. This added heat will give your heater a break, but still keep the temperature at a comfy level. Newer models of dishwashers use a fraction of the water that older ones do thanks to new standards. Some of the top dishwashers only use 1.5 gallons of water per cycle, and almost all new dishwashers only use 6.5 gallons of water per cycle. Money and resources are saved when heating less water and using less water overall. 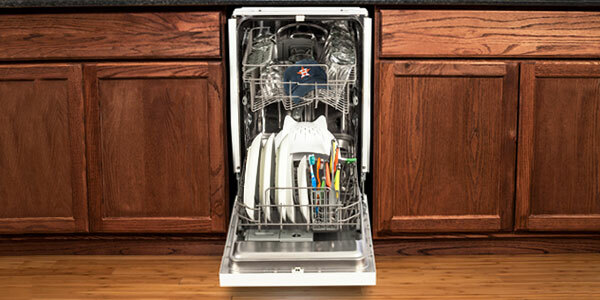 These dishwashers use less water and resources, all without sacrificing the overall quality of cleaning. Some even come with miniature disposals that get rid of small food particles in the wash. You might never have to rinse your dishes in the sink again. You can also make the switch to a countertop or 18-inch dishwasher. These units are smaller, therefore they use less water and energy than their full-size counterparts. Using a dishwasher might seem like a no-brainer. However, you can get better results by reading the manufacturer’s instructions and following them. After all, those manuals are created for a reason. 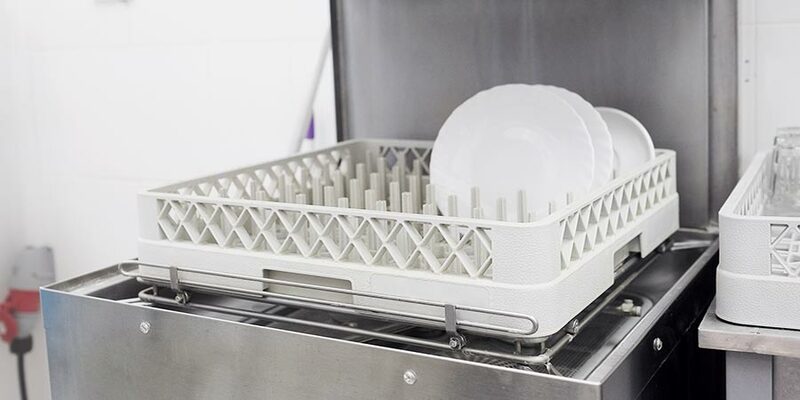 Take a few minutes to get a better idea of how your dishwasher works and cleans under optimal settings. If you do not have the instructions handy, conduct a quick web search to find out the best settings for your make and model. Most dishwashers heat water between 140-145° Fahrenheit. Turn the water temperature to about 120°, which will be somewhere between the low and medium heat setting to get clean dishes with less energy. Washing dishes on the lowest setting possible likely will not clean them well enough, no matter how much additional detergent you use. First, you get to skip washing and rinsing dishes in the sink. Your family will probably appreciate it as much as you do. Also, many of the steps you can take to make your dishwasher more efficient involve changing the settings once and leaving them there. Simply changing the water temperature, the air dry setting, and the delayed start setting will all make a notable difference. You might not save hundreds every month, but you can make a substantial contribution when saving money over time. If your dishwasher is on the fritz you can consider investing in a new one, and you can use easy energy saving tips to help your new appliance pay for itself over time. It’s nice to learn that an air dry would be a great way to save more money on utility bills as you’ve mentioned. That’s because the dishwasher won’t have to heat itself anymore which cuts down on a lot of energy to be used. I’ll be sure to do that once we purchase a suitable dishwasher for our new home. Being able to clean your dishes without worries would be a real convenience. My wife will definitely love the idea of not having to manually wash dishes anymore. Thanks for the informative read about efficiency tips for dish washing!